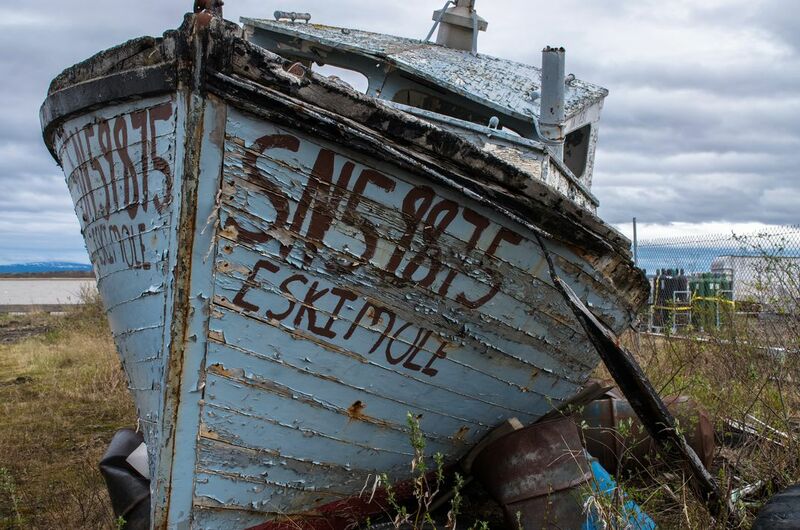 Weathered and tattered, the Eskimole has sat in the same place for years only to be beaten down by the Alaska's hash weather conditions. The paint is chipping, the roof is caving, and moss and plant life cover each crevasse. This was an old fishing vessel used in Bristol Bay. Wooden boats are not a common site as they were back then. Date Uploaded: July 8, 2015, 4:32 p.m.